Pressure is mounting on Prime Minister Scott Morrison to release a review of religious freedoms conducted by former Attorney General Philip Ruddock. 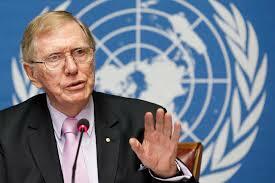 RSA Patron Michael Kirby is interviewed on ABC radio. On the delayed Ruddock Report: "The mind gets a bit suspicious, I'm afraid, especially against the background of the billions of dollars given the religious and independent schools, and the chaplaincy program, funding religious chaplains invading our public schools." On secularism: "Secularism is one of the greatest gifts that grew out of British history, out of the religious wars. They solved that by saying that, in the public space, we respect all religions or no religion. It's at risk in the US but there, they've got constitutional protection. It's also at risk in Australia but our constitutional protections have been interpreted very narrowly. We've got to be very alert to the benefits of secularism for all of us, including people of faith." On being an activist: "I don't feel like a gay rights activist; I'm more a secular activist. I learned the value of a secular school where there were people of religion and people of no religion." On sexuality: "Diverse sexuality is just part of our nature. If it's being taught in public schools, it's just telling students what they already probably know - that there's LGBTIQ people in their midst - and if private and religious schools aren't telling them that, then they're letting them down."